Provide unified network credentials to your members, synchronized with your member portal. Record detailed presence information of your community – whether you bill by the hour or you want to know when your space is busier. After members login in the Network/WiFi using any of their devices, OfficeRnD will automatically deduce from their available day or time (in development) passes. OfficeRnD’s management platform enables coworking and flexible workspaces to automate and integrate all of their business-critical processes, including their Network and WiFi systems. OfficeRnD’s integration with IronWiFi enables the connection between your Memberships management system (OfficeRnD) and your Radius-based Network. Unified Authentication – OfficeRnD will synchronize the users’ information in a secure way with your Radius-based network so your members will be able to log in with the same credentials they have for their OfficeRnD mobile app and member portal. Enhanced Security – using separate credentials for each user reduces the risk of leaking a shared password. 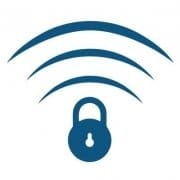 User-level access control – access to the WiFi can be discontinued for a user if they leave the space or don’t have any day/time passes left. Presence tracking – record detailed member presence information – whether you bill by the hour or you want to know when your space is busier – it’s all there and automated. Automated day/time-pass usage – after members login in the Network/WiFi using any of their devices, OfficeRnD will automatically deduce from their available day or time passes. As a result, your Network will be more secure, your flexible memberships & billing more automated, your members will have easier access and you will have better utilization/presence KPIs. NOTE: IronWiFi integration has an additional cost of $0.5/user/month or $10/access point/month. IronWifi is Cloud-based RADIUS AAA and Captive Portal. Cloud-based – Cloud platform with virtually no performance limits. Scaling virtual RADIUS instances available worldwide. Convenient – no need to flash firmware or purchase new hardware. Free technical support is provided to get you up and running fast. Find out more about IronWifi here. If you have any questions regarding the integration between OfficeRnD and IronWifi, please check the setup guide or contact Support with any questions you have.